One thing I would advise for a young person is to keep being positive and start helping encouraging each other than hating and putting each other down. We all have an opportunity to be something great, why not continue help pushing each other for greatness. I think there needs to be more humble people at the top showing people at the bottom how to make it. To never quit on their dreams and understand that certain things just take time. We had the pleasure to interview “Mr. Olympia winner” Brandon Hendrickson. Some teenagers know exactly what they want to be when they grow older, some do not, but for Brandon Hendrickson his sights were firmly set on being a professional bodybuilder. Hailing from the Chicagoland area, it would be some years later, but that dream would finally be realized at the climax of his career, he would win the title of Men’s Physique at the highly lauded, popular Mr. Olympia Competition held in Las Vegas, Nevada. 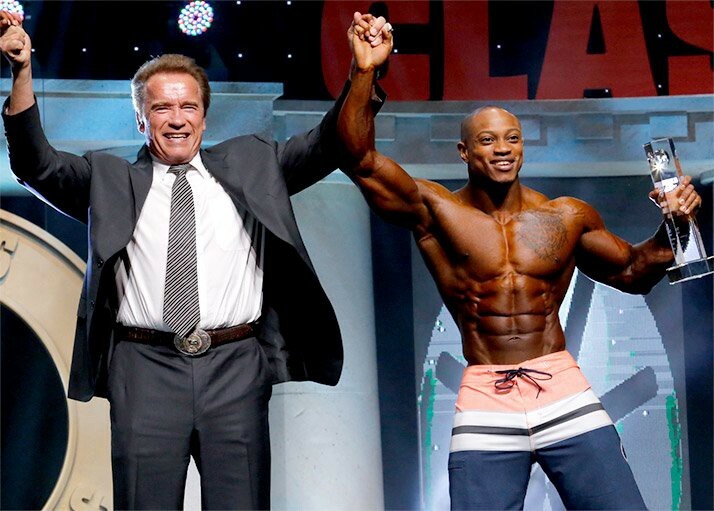 Mr. Olympia was a moment that solidified all of Brandon’s years of hard work and tenacious dedication to this sport, a sport that he admits his parents who are both Trinidadian natives, looked at as just a hobby rather than a career. It took some convincing, but now they are fully on board and their support is insurmountable, in fact, his father, David Hendrickson is his manager. Now, when he’s competing, his parents and older sister, Michelle are nearby cheering him on. Born in Chicago, June 16, 1987, Brandon grew up in a suburban community on the outskirts of the city and always played sports as a kid as well as participated in many educational programs. He was also very likable and always had a diverse group of friends. As the years went on Brandon attended college and eventually moved back to the Chicago area to work in hospital administration. Enjoying his youth, modeling, dabbling in music, Brandon enjoyed an active social life, but the desire to body build never dissipated. In 2012, he began to really commit to the sport and the lifestyle, which require a strict diet and a serious gym regimen. 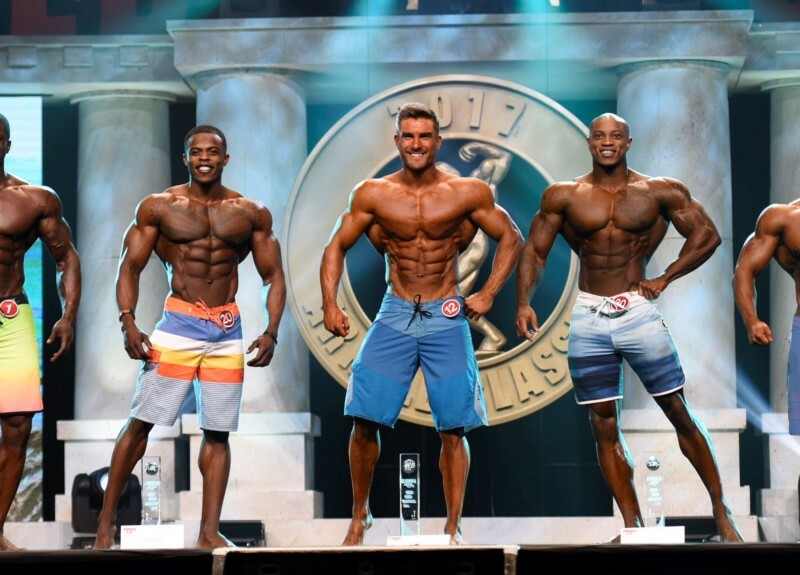 That same year, Brandon came in 2nd place in his first show, “that moment I knew I had something in this.” In 2013, Brandon went pro and in 2015, he debuted in Mr. Olympia placing 5th. By 2016, he’d won the Arnold Classic and in 2017, he placed 3rd in Mr. Olympia all of this leading to the coveted 2018 Mr. Olympia Men’s Physique Title. Brandon then went on to compete as Mr. Olympia in South Korea, Japan and China and won in all three countries. 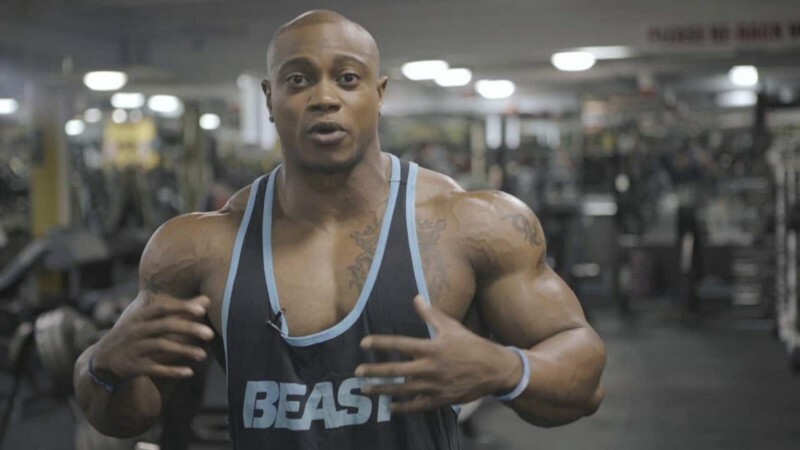 He is the only Mr. Olympia who competed after being Title Mr. Olympia prior to the 2019 Mr. Olympia competition. Also, the only Men’s Physique Mr. Olympia that won the Arnold Classic and Men’s Physique Mr. Olympia. For Brandon, this is just the beginning even though he knows he will not compete forever, his other plans include to travel the world giving health and fitness seminars, opening his own gym and continuing to broaden his health and fitness apparel business, Big Waves along with his family. I decided to get into bodybuilding in 2012, but my dreams to one day become a bodybuilder began back in junior year of high school. I have an extensive background in sports including soccer, football, wrestling and track. One day after school and track practice, I was training in the gym with one of my best friends at the time, Keke. I remember just taking to her at the age of 17 saying “one day I want to become a bodybuilder. She just kind of laughed at me but never doubted my dreams about it. In High school, I was known as the “kid with abs. Between classes and during lunch time I remember girls touching and wanting me to show my abs in school. I think that was the moment the sparked the idea of being some sort of entertainer at some point in my life. I got used to and comfortable with the attention and “all eyes on me’ concept. Fast forward to 2012, I met a friend who began working out. I had just graduated college (2009), was working full time, but was still in party mode from college. Not caring about what and when I eat. My friend at the time started going to the gym and was approached by a women bodybuilding coach (bikini), my friend learned of her potential and began getting coached. She did a small local show and I went to support. It was the first year my division, Men’s physique, started. At the show I was immediately intrigued by the MP athletes, they weren’t the huge bodybuilders I expected to see. Being only 5’9’ 145 lbs at the time, I found this division to be very attainable for me to compete in and at least get me involved in sports again. I figured, what can I lose? Body fat. Sign me up! The most interesting story of my career was when I qualified for the Olympia and placed 5th, 4th, and then 3rd consecutively and the following year I was told I wouldn’t be in the top 5, but I ended up winning the whole show. My father is a great role model for me. Always has been my whole life because I know he just wants me to be in a better position, as I would for my son. He’s always showed me why certain things won’t work and gave examples why. Since I as a baby I’ve watched my dad get up every single morning and go to work, I learned you have to work for what you want and be consistent with it. He’s taught me about how to avoid certain people that aren’t healthy for me and taught me how to work with people to build relationships. He’s taught me about finances, saving, spending etc. how to become financially stable. Including how to save for retirement, IRA,401k, and the importance of having insurance. My most important hope is teaching people all over the world how to be better. Better versions of themselves, learning how to turn negativity into something positive. Learning how to face obstacles but stay the course, motivate and inspire people around the world to believe anything they want in life, is possible to achieve. I am a true testament to when you work hard, stay humble by keeping your mouth shut when people are saying no, be disciplined and consistent. You can do anything you set your mind to. So far, I have made appearance in multiple countries, holding seminars and teaching about the sport of bodybuilding. Methods I’m using are my social platforms, using apps like Instagram to connect with people. Also attending trade shows and expos where my fans have the opportunity to meet me in person. I chose this particular cause back in 2011, when I worked full time as Hospitality manager at a hospital, before bodybuilding, it seemed almost every week I was being teased about how skinny I was, how small my waist was, how small my arms were. I didn’t fill in any of my clothes. I didn’t feel like an alpha male. I wanted to be big and I didn’t want small arms anymore. That was the spark of motivation I needed to really start making myself better. I didn’t lack confidence, but after a while hearing how skinny I was got annoying and I just wanted better for myself. Mike Tyson, because I always looked up to him and still do.